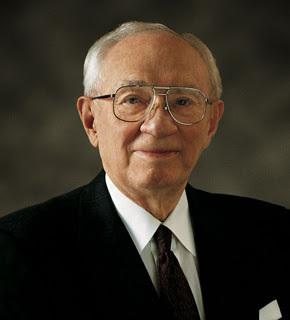 " President Gordon B. Hinckley, who led The Church of Jesus Christ of Latter-day Saints through twelve years of global expansion, has died at the age of 97. The Church president died at his apartment in downtown Salt Lake City at 7:00 p.m. Sunday night from causes incident to age. Members of his family were at his bedside. A successor is not expected to be formally chosen by the Church’s Quorum of the Twelve Apostles until after President Hinckley’s funeral within the next few days. " Cathi thanks for sharing your testimony. Hey by the way I love your highlighted please leave a message thing. I put a hit counter on my blog and I for sure am not getting as many comments as looks. Oh well atleast I know people are actually looking....right? Cathi- I'm so sorry if my question was a bit blatant and brazen today at April's shindig. Hopefully, it didn't force you into an uncomfortable situation. I'm keeping you in my prayers... You're a great friend, Cathi. Hey Cathi! Funny how I found your blog -- through the card club, through Tierra's blog, through your photography blog. Thanks for your comments on our beloved prophet. I remember him more than Pres. Benson and Hunter since they were kind of sick and he was in the forefront. I was only sad until I thought of his welcome home -- especially with his wife, Marjorie. We are so blessed to know the plan. Thanks for your example to me.